Leading the kitchen at Burlock Coast is Paula DaSilva, a “Hell’s Kitchen” alum who previously worked at Artisan Beach House and 3030 Ocean. Every weekend, she and her team are doling out a delectable brunch menu comprised of succulent proteins — with an emphasis on seafood. 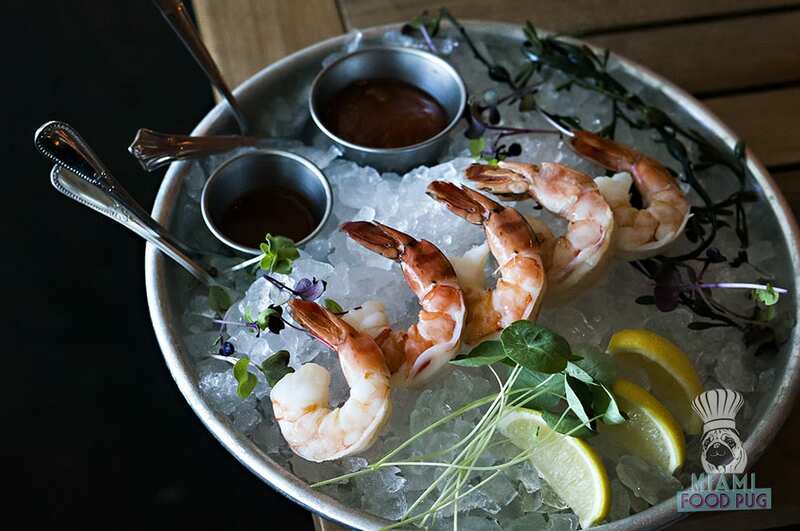 Given Burlock Coast’s location on the beach, that should come as no surprise to diners, who have everything from seafood towers and oysters to ceviche and tuna poke to enjoy. And that we did. A satisfying Shrimp Cocktail started our meal, which segued into more sizable bites like a Tempura Grouper Sandwich. It’s been a loooong time since we’ve had a sandwich as good as that tempura grouper. Our cardiologist probably isn’t too happy, but the mix of fried fish, slaw and hot sauce on a brioche bun turned us into some very impressed customers. We just got hungry thinking about it — yum. Despite the “Seafare” part of its name, meat options abound. The Skirt Steak “A Cavalo” is one such option, and if we had more room, we totally would have gotten the homemade porchetta sandwich. For dessert, all you need to say is “Croissant Pudding” — don’t even think about anything else. Not everything is heavy, though: A super-refreshing Compressed Heirloom Tomatoes dish with burrata offers a lot of flavor with much less guilt. Spirits make up the other part of Burlock Coast’s full name, and the bar program lives up to that reputation. Rum is the signature alcohol here, so you’ll find it in many of the drink selections — including a Hawaiian Old Fashioned with a cool ice sphere. Be on the lookout for specials, too: We took advantage of a spa/restaurant deal for a discounted massage and a free rum punch. Programming is a huge thing at Burlock Coast, so expect to see something always going on. If you’re thinking about visiting from Miami, do it. Burlock Coast can be far for some folks, but once you sit down and try the tempura grouper sandwich, you’ll forget all about the distance. Trust us. Burlock Coast is located at 1 N Fort Lauderdale Beach Blvd. inside The Ritz-Carlton in Fort Lauderdale. Brunch runs every Saturday and Sunday from 12 p.m. to 5 p.m. For other information, visit their official website or call 954-302-6460.